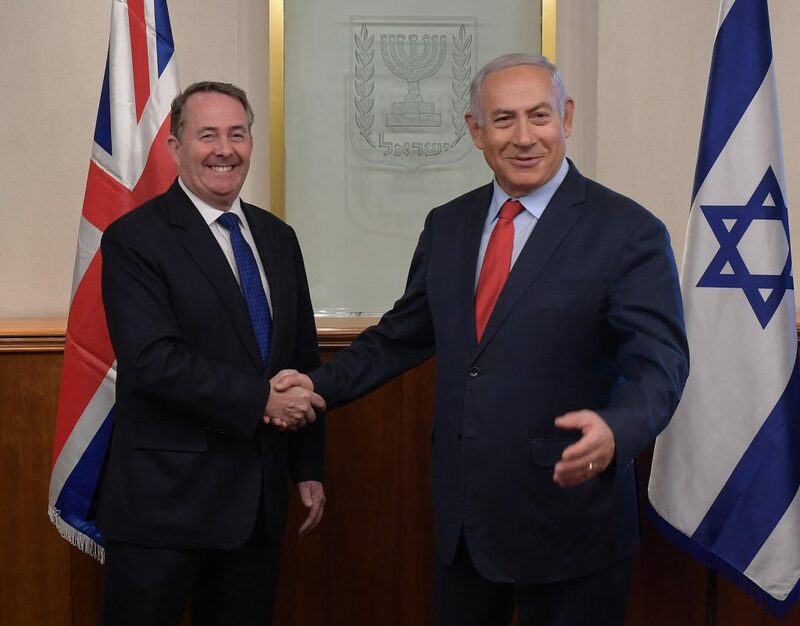 British International Trade Secretary Liam Fox met Israel’s Prime Minister Netanyahu in Yerushalayim on Wednesday to begin laying the groundwork for expanded bilateral trade as Brexit looms. In the face of great uncertainty about the final terms of Britain’s departure from the European Union, Teresa May’s government is working to provide as much of an economic cushion as possible to offset the costs of Brexit. Last year, trade between the U.K. and Israel exceeded $9 billion, a record high, Fox’s office said. And there was a 75 percent in the first half of 2018 compared to the same period last year. “And as we leave the European Union and Britain takes up its place as an independent state of (the World Trade Organization), we want to push our concept of free trade even further,” Fox told Netanyahu ahead of their meeting. “In a world where the siren calls of protectionism are rising, two free-trade nations like ours need to make the case for global free trade because trade spreads prosperity,” he added. Israel is an import market for British cars, while Scotch whiskey sales in Israel have increased by 300 percent since 2012, according to Fox’s office. Other leading British exports to Israel have included mineral products and machinery and electrical equipment, as well as chemical industry products. Fox also met with Palestinian Authority Prime Minister Rami Hamdallah in Ramallah on Tuesday.